The 65th Infantry Regiment has seen action in WWII, Korea and Vietnam, now they want recognition—Fox New Latino reports. 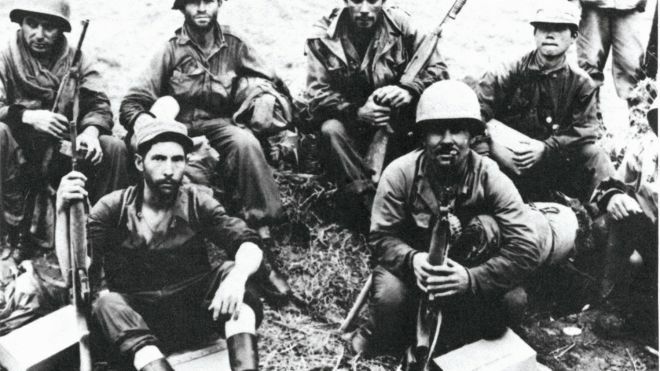 The U.S. Senate is likely to join the House in seeing proposed legislation to award the Congressional Gold Medal to Puerto Rican veterans of the 65th Infantry Regiment. Bystran said that Sen. Elizabeth Warren, a Democrat from Massachusetts, has said she will co-sponsor legislation awarding the veterans the medal. The regiment earned 10 Distinguished Service Crosses, more than 250 Silver Stars, more than 600 Bronze Stars and more than 2,700 Purple Hearts. Earlier this year, Rep. Bill Posey, a Republican from Florida, and Congressman Pedro Pierluisi, the sole representative from Puerto Rico who is a Democrat, introduced a bill in the House to award the regiment the medal. 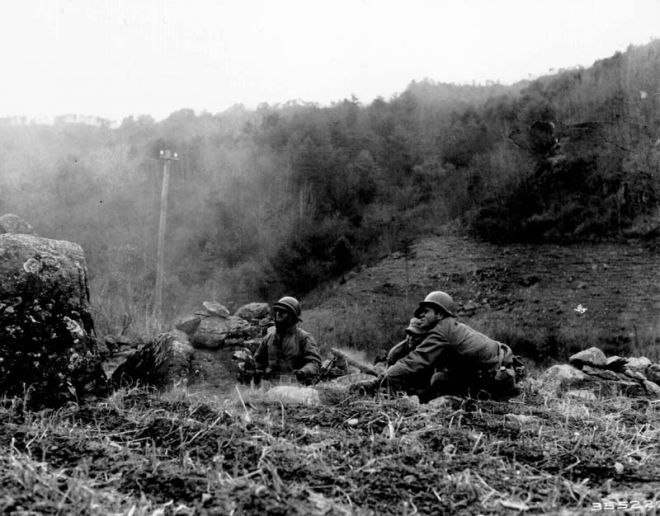 “Called upon to serve in World War I, World War II, and especially the Korean War, the Borinqueneers have consistently shown exceptional and unyielding valor on the battlefield despite the hardships they lived under such as ethnic discrimination,” said a statement released by Posey’s office. Proponents of giving the regiment the Gold Medal say that in addition to their heroic efforts, the men faced segregation and discrimination, such as being ordered to paint over the word “Borinqueneers” on their military vehicles, and to wear an “I am a coward” sign. 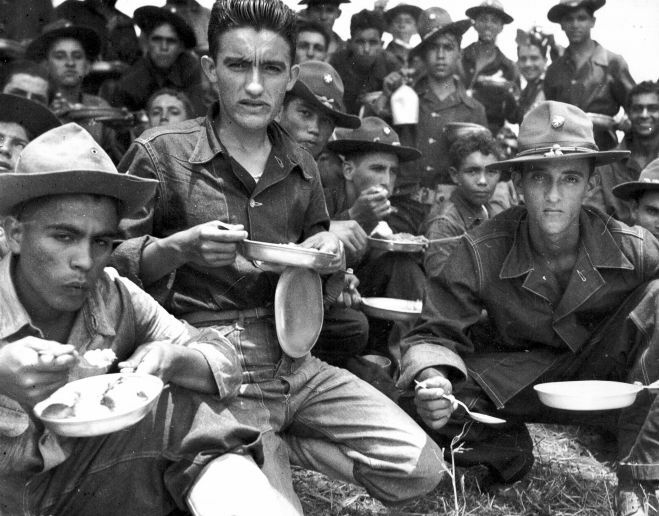 Members of the Borinqueneers alliance have been campaigning, both on the island and in the mainland U.S., to spur Congress to award the medal to the Puerto Rican veterans and raise awareness for the adversity the soldiers faced on the battlefield and upon return to civilian life. “They served their country and then they got back to Puerto Rico to find that they don’t have the same status as other soldiers,” said Javier Morales, the president of the 65th Infantry Veterans Association, to Fox News Latino earlier this year. They received support from other military groups such as the National Veterans Association and the Japanese-American Nisei Soldiers. While the 65th infantry has a street named after it in the South Bronx and has received praise from former Puerto Rican Gov. Pedro Rosselló and Gen. Douglas MacArthur, the Congressional Gold Medal would be the official recognition that many of the Borinqueneers have wanted for decades, Morales said.